GOLF MANOR, OH (FOX19) - Vandals have targeted three different neighborhoods keying dozens of cars on each block. That's not all they're leaving behind - some victims are also receiving unexpected notes. Many Golf Manor residents are hesitant to park their cars on the street, fearing they will wake up to costly repairs. "I don't know is this going to happen again," said Lavonda Dallas. She parks on Graceland Ave and recently found a deep scratch on her jeep that runs from the front all the way to the back of the car. "I was like, 'who would do such a thing.' You just feel violated," said Dallas. The vandals aren't just leaving behind heavy damage, some have also gotten a note. 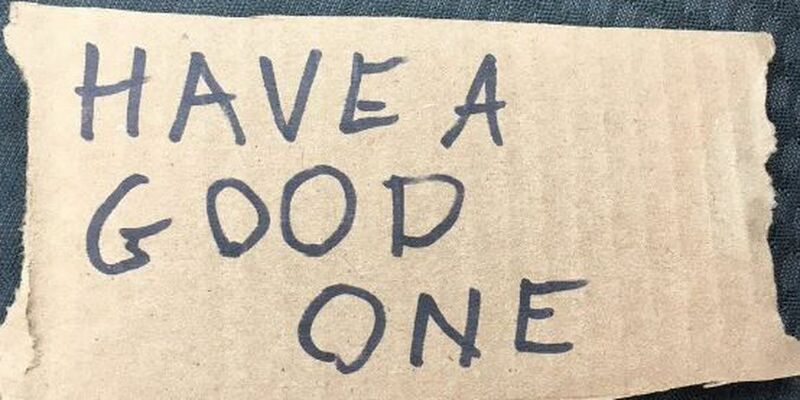 A Pleasant Ridge resident received a note saying "Have A Good One." "I got a note on my car saying be courteous. It was like written on a brown paper bag," said Sable Grant. She also lives on Graceland Ave.
Grant found the note on her windshield at first she thought it was a neighbor. "I thought I was taking up too much parking or something," she said. "There's a scratch all the way along here. There's scuff marks so we think that they were in a car," she said. She said the vandals have hit her neighborhood three times in the past few months. Two of her cars have been keyed. "I think it's some kids being childish but it's costing us a lot of money," said Grant. Golf Manor police said since September they've had 20 incidents of cars being keyed, Norwood has had about 40 cases, and this week there have been several complaints in Pleasant Ridge. Police said they believe all are connected. Residents said they are fed up and they hope police do more to put a stop to it. "They should do something because we're like coming home from work going to sleep and they're doing this while we're sleeping," said Grant. She has this message for whoever's involved. "Just stop. If you're mad about something get some help, but leave our cars alone." Golf Manor police said they have more officers out on the street doing patrols hoping to catch the vandals. They are also reviewing surveillance videos from several houses to see if any of the act were caught on camera.